"Caramelized shallots and garlic with cheese. Yummy!" Melt butter with olive oil in a large skillet over medium heat. Cook shallot and garlic in the hot butter mixture, stirring frequently, until soft and slightly browned, 5 to 10 minutes. Stir green beans with shallot mixture; season with salt and pepper. Cook and stir green beans until tender, about 12 minutes. Remove skillet from heat and sprinkle Parmesan cheese over the green beans. 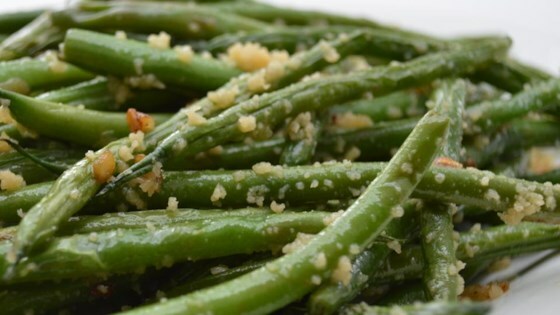 Absolutely delicious way to dress up Harcott Green Beans. Onion and shallot became carmelized as the green beans cooked! Yum!